Hoplite Tactical - Bill S-223 dropped from the order papers. Bill S-223 dropped from the order papers. Sometimes in Canada there is good news for firearm owners. Of course it is worth noting that this news is only good because it's the expiration of the private members bill S-223, titled "Strengthening Canadians' Security and Promoting Hunting and Recreational Shooting Act". This was the kind of bill that used wording to make it sound good when it had nothing to do with security or promotion of hunting and recreational shooting. Thursday November 3rd 2016 the bill was dropped from the Senate Order Papers. 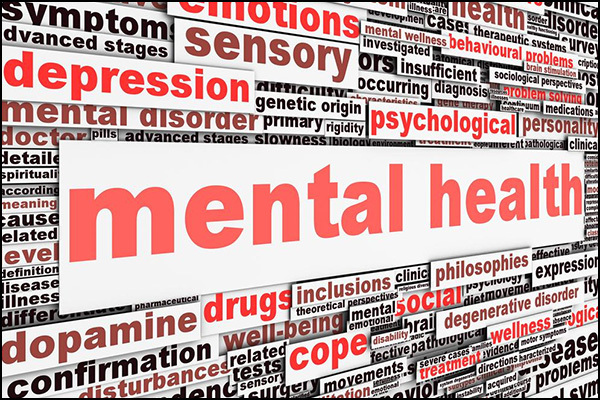 In April 2016 S-223 was introduced by then senator Celine Hervieux-Payette, who retired from senate by reaching the mandatory age of retirement 10 days after introducing the bill. The former senator was so hoplophobic that she feared her own Police bodyguards having weapons to defend her and her fellow senators on Parliament hill. After Hervieux-Payette retired the bill was left without a sponsor. The significance of the bill being un-sponsored was that it gave it a lifespan of 15 sitting days to be debated. After the 15 sitting days have expired a bill will be dropped from the Senate Order Papers. The bill was so sweeping that it would nearly prohibit civilian ownership and use of all firearms, except for "designated hunting rifles". This terminology would give the Governor-in-Council the authority to use their discretionary power to decide what firearm would be deemed a "designated hunting rifle" or not. This would mean that any current non-restricted rifle or shotgun would be up for interpretation by the Governor-in-Council for if it met the classification of "designated hunting rifle" not just once, but could be moved from the "designated hunting rifle" classification at any time should the Governor-in-Council deem it too dangerous for civilian use or not appropriate for hunting. 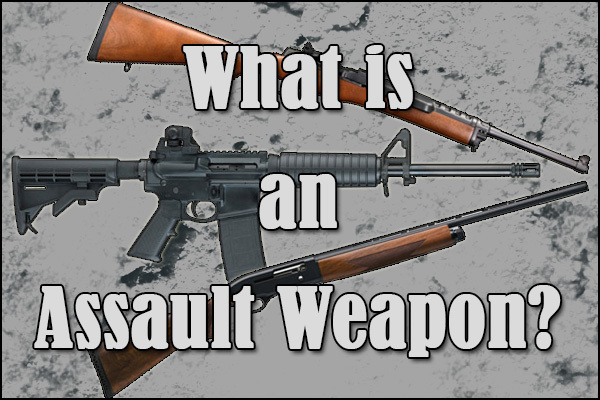 If moved from the "designated hunting rifle" classification that would mean it would have to be moved to the "circumscribed firearm" classification detailed below, or to prohibited classification and banned from civilian use entirely, and likely confiscated. S-223 would have included all non-restricted and restricted semi-automatic as "circumscribed firearms" prohibiting them for civilian private ownership and only allowing them to be stored and used at a designated range. If "circumscribed firearms" needed to be moved or transported to another range the owners of the firearms would have needed to use an outside service or specialized carrier for transporting them. The "circumscribed firearm" classification would create a centralized storage for all firearms in this class. A centralized storage would put enough firearms in one place to make it a very tempting target for criminals, and the storage would never have enough security to truly defend it. If criminals wanted to rob a centralized storage they would be able to have access to such a large quantity of firepower that this would in fact become a safety concern. 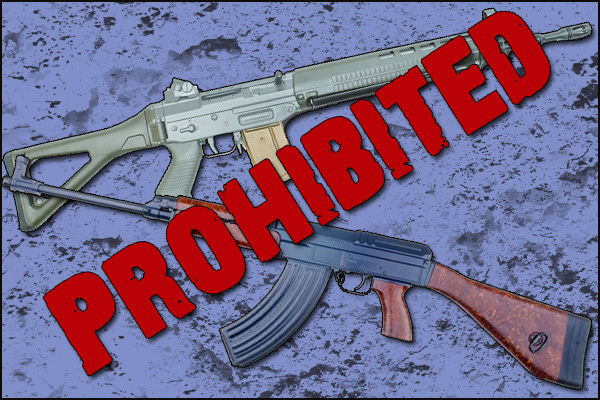 This insecurity caused by the Government would likely become the reason that the "circumscribed firearm" classification would become prohibited. Another section of the bill would have repealed most of the Common Sense Firearms Licensing Act, which was an act that was passed to prevent over 11000 Canadians from having their property being confiscated or becoming felons when the Canadian Firearms Program reclassified the Swiss Arms and CZ-858 rifles to prohibited. 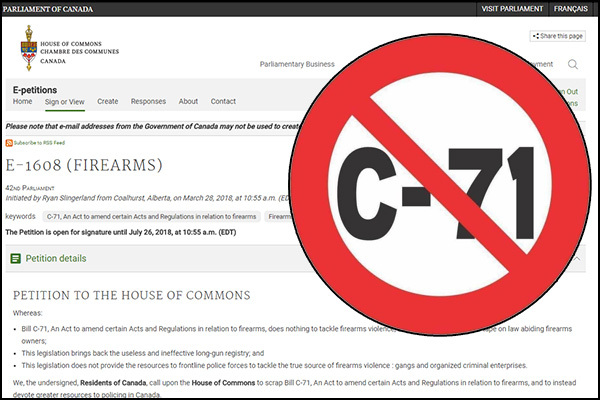 S-223 would give sole classification decisions to the RCMP Canadian Firearm Program along with the Governor-in-Council instead of allowing Parliament to overturn bad decisions like the prohibition of the Swiss Arms and CZ-858 rifles which criminalized thousands of Canadians overnight. This bill was so draconian and punitive to Canadian firearm owners that we're glad to see it be dropped from the Senate Order Papers. The bill was originally introduced in 2015 by Hervieux-Payette as Bill S-231 where it died at the second reading. Even with the former senator now retired it is worth noting that this bill was introduced twice. Bills such as this should concern all Canadian firearm owners as it had terminology in it that would punish all of them to a certain degree. With this bill having been introduced twice it is up to firearm owners to be vigilant for bills such as S-231 and S-223 to be introduced in the future, and if they are to fight them politically as a unified front. We did of course talk about S-231 when it was introduced in 2015, and while that bill has died in Parliament the message in that video is still applicable today.